Thank you so very much for voting for me as the Top 5, out of over 250 names listed. It means so much to me to know that you are so grateful of all the great work I do for you every time you need my service as a real estate agent. I always do my work with honestly, passion and professionalism. I do my very best each time and it is so rewarding to have you voted for my name. However, the contest is not over just yet ! It continues to select the #1 ! So I will still need your votes DAILY from Oct 13 until Nov 3, 2014! Thank you VERY MUCH and know i am VERY grateful to you for taking of your time DAILY to do this. 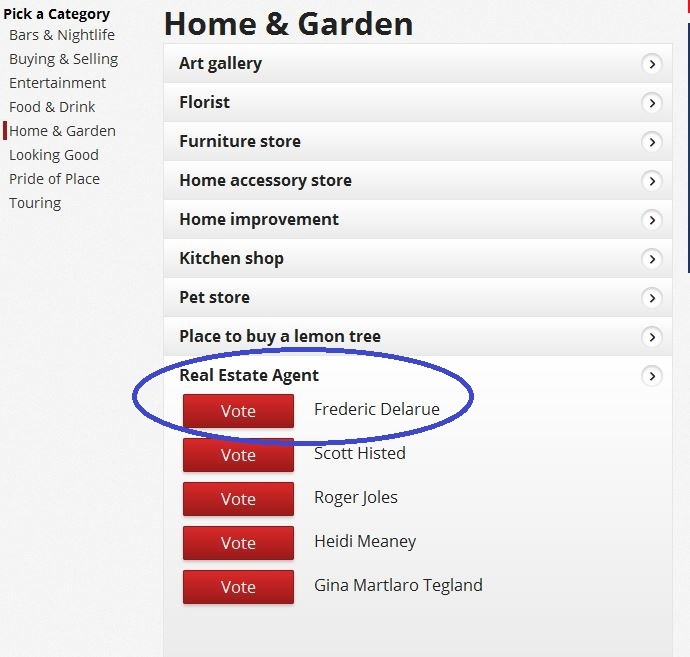 This entry was posted in contest, real estate and tagged agent, best of the best, best real estate agent, contest, desert sun, frederic delarue, indian wells, la quinta, palm desert, palm springs, Rancho Mirage, real estate, realtor, windermere on October 13, 2014 by Frederic Delarue.